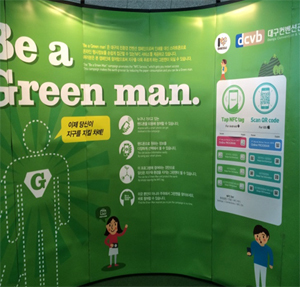 Be a Green 2015 ISES Solar World Congress with Daegu. The Congress Organizing Committee and Daegu City government are striving to operate 2015 ISES Solar World Congress as a eco-friendly event to protect environment and to contribute to local community by diminishing food waste, disposables, and papers and using local products. EXCO is equipped with largest solar power system in Korea as an independent building. In addition a large scaled regenerating energy system was installed the expanded building finished in 2011, which makes EXCO the worlds best "Green Convention Center"
2. Effects of the second photovoltaic power generation facilities installation project. 3. Effects of the first geothermal facilities installation project. 5. Effects of installing the photovoltaic system. 6. Effects of installing the EXCO natural lighting (daylight collection) system. 7. Effects of the second geothermal facilities installation project. You can get more detailed information about ISES SWC 2015 and Daegu's sustainable efforts in the 'Green Zone'. We also offer city maps and brochures to guide sightseeing, accommodation, transportation, and restaurants in Daegu.